Your needs right now may not be your needs in a year. Think ahead. Are you planning to expand your family with children? Will you need an office? Or are you looking to start a club? Pick up a hobby? 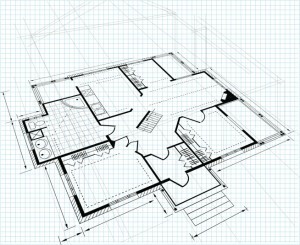 Allocating space in your new home in the planning stage will spare you headaches later. 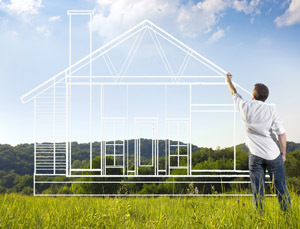 Custom homes are built on your land. Keep in mind the existing features of your lot, not just the size of it, and design the footprint of your home to showcase interesting features. If your lot has a view to the north, perhaps positioning your family room – with plenty of windows to take in the view – that way would impact the layout of your home. If you have a brook or a stream, perhaps you would prefer to have a bedroom nearest to it so that the soothing sound of running water could be heard while you sleep. Once you work out a basic layout and plan for your custom home, make a list of the features you want to have – and then put them in a priority order. It’s easy to let your fancies get the better of you, and taking a moment to order things may make it easier to decide what you REALLY do need in your home. Natural light has an incredible effect on human beings, and a lack of light can lead to depression, lethargy, and a host of other symptoms/side effects. To combat this, try to make sure your new home will be well-lit not only with light from windows, but perhaps from skylights as well. Placement of your windows and lighting fixtures is also important. Since you have already planned out the use for the rooms of your custom home, it should be relatively easy to determine where you will need the most lighting. Stop for a moment and consider how you will move around in your new home. Furniture, doors, and even windows all affect traffic patterns. Try to identify potential bottlenecks now, when you can easily make changes if necessary, and you will minimize the chances of bumping into people and furniture once your home is built.